There’s no doubt that drinking water’s important, but have you ever stopped to ask yourself why water’s so essential to your health? This article will unravel 10 reasons why you should be drinking water for a fit and lean body. 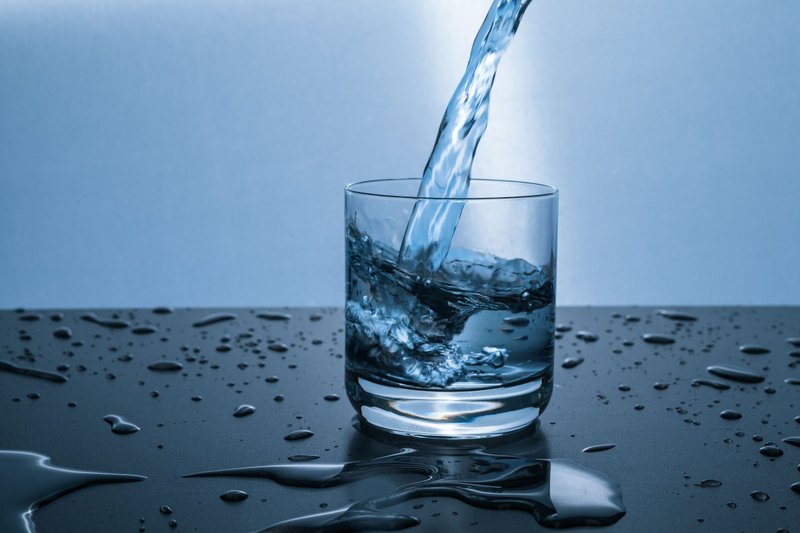 Learn why all the fitness experts and skincare gurus tout the benefits of water for your health and body. We’ve all seen these people; you know, the ones that carry a gallon of water with them everywhere they go. But did you ever ask yourself why these so-called fitness gurus and skincare experts are just so obsessed with this liquid? Well… let’s first start with the big picture. After 1400 years, science confirms this Quranic ayah (verse), which means that water is essential to your being. As an adult, your body is composed of, close to, 60-70 per cent water. Your brains, lungs, heart, liver and kidney contain between 65-85 per cent water. What this composition of our bodies suggests is that water is so essential to our function that even just a just a 5 per cent drop in our body’s fluid levels can lead to a 25 to 35 per cent drop in energy levels. But that’s just the half of the story. For example, your body has a limit to the percentage of dehydration that it can tolerate, and when your body passes this mark, you start to even damage your DNA! So, not drinking enough water is a big blow to your body. And I’m here to tell you why. In this article, I give you 10 reasons why water is absolutely crucial for your wellbeing—physically and mentally. Your blood system is used to transfer oxygen, nutrients and antibodies to each and every cell. If there is less water available for your blood system, you are basically stripping your system’s ability to do its job well. It won’t matter how healthy you eat because if you don’t drink enough water, your eating won’t help your cells function effectively. That’s because mitochondria, the energy power plants of your cells, need water to keep you energised. Whenever you are dehydrated, your energy plummets (#RamadanLethargy). Hence, the quickest and easiest way to increase your energy is by drinking water! Your cells produce a lot of waste. Just like you poo and pee to relieve your body’s waste, your cells also need to ‘relieve’ this waste, and that’s why there is a cellular waste management system in your body to help with this excretion. Like the garbage trucks that clear away the streets, your lymphatic fluid is responsible for the removal of the waste products from your cells. If your lymph fluid is too thin because you’re dehydrated, you’re just going to start to build up all of these metabolic waste products, aka toxins. When these waste products aren’t channelled out of your body properly, you are basically asking for a lot of trouble, such as the DNA damage I mentioned previously. Have your ever-experienced constipation? Most people get constipated because they aren’t drinking enough water. Along with fibre, water is essential for good digestion. Water helps dissolve waste particles and pass them smoothly through your digestive tract. If you’re dehydrated, your body absorbs all the water, leaving your bowel movements dry and more difficult to pass. So, the simple trick to “push down” the waste products is to drink more water! Allah (SWT) created a built-in thermostat in your body. This does an amazing job of regulating your body temperature by warming up or cooling down your body. But in order for this “thermostat” to work, you need to drink plenty of water. By drinking water, your body naturally regulates its own temperature. Here is the thing, even being mildly dehydrated can slow down your metabolism by as much as 3%! In other words, being hydrated is critical to your ability to burn fat! So, just by drinking more water, you’re helping to pump up your metabolism — especially if your water is cold (somewhere 20-220 Celsius). This is because your body must work to warm the water up, thereby burning a few extra calories in the process. Most women spend hundreds of dollars on beauty creams to look better. The key to great skin? Drink plenty of water because water is nature’s own beauty cream. Fine lines and wrinkles are deeper when you’re dehydrated. Drinking water hydrates skin cells and plumps them up, making your face look younger. It also flushes out impurities and improves circulation and blood flow, leaving your face clean, clear and glowing. 85 per cent of your brain tissue is water. If you’re dehydrated, both your body and your mind will be stressed. If you’re feeling thirsty, you’re already a little dehydrated. Just like machines need lubricants to work smoothly, your body also needs to be lubricated. The best lubricant for your body is water because it allows the smooth movement of your joints. Not just your joints, but water is essential for the proper function of your spinal cord, spinal disks, eyes, and brain. Did you know that about 70 – 80 per cent of your joint cartilage is made of water? So, when you’re well-hydrated, your joints work better and you can move easily. Conversely, dehydration leads to degeneration of your cartilages and severe pain in your joints. Do you experience cramps in your muscles when you’re working out? If you do, then you might want to see if you’re staying hydrated. Drinking water helps prevent muscle cramping and, as I mentioned before, lubricates joints in the body. When you’re well hydrated, you can exercise longer and stronger without “hitting the wall.” In other words, drinking water while working out is a great way of improving your performance. Another benefit of drinking water is that it helps you with the ability to stay focused and with your ability to think and remember information. In a study, researchers found that being dehydrated by just 2% impairs performance in tasks that require memory, focus and other cognitive functions. However, by staying hydrated, researchers found that their subjects were more likely to perform better on work that was mentally strenuous. This is one of the most frequently asked questions in health forums, and you certainly have heard the reply that one should aim to drink at least eight glasses of water a day. The fact is, there is no consensus among scientist about the average amount of water one needs daily. Yep, this 8-glasses theory is not necessarily science based. This is because the amount of water one needs differs on many different factors, like your size, where you live, how much exercise you do, what you eat and how much you eat. Having said that, 8-glasses a day seems to be a reasonable and safe recommendation. So, if you can stick to it, you surely can’t go wrong. You may need less than eight glasses of water if you drink other unsweetened no-calorie beverages such as green tea or black tea. And you may need more than eight glasses of water if you sweat a lot, exercise and/or do a lot of manual labour! In most western countries, the water from the tap is much better than the water from supermarket bottles. So, save your money and start using the water from the tap. If you are in doubt, boil the water before drinking or, even better, buy a water filter. Start your day with two glasses of water. This is one of the best things you could do for your health! Drink at least one glass of water 30 min. before your meal. You’ll not only be less hungry, but you’ll also fulfil the Sunnah of eating, which is having your meal consist of 1/3 water, 1/3 food, and 1/3 air (Saheeh, ibn Maajah). Drinking a glass of water will not automatically transform your body into a lean and healthy one, but it, no doubt, bring you closer to your goal. Your spiritual life has different dynamics. The ups and downs of your spiritual life depend a great deal on many things in life. In this article, we’ll explore how even the food you eat can affect your spirituality and what you can do about it. How often you had the best intention to pray with khushoo (humility in prayer), yet only noticed at the end of Salah that you weren’t focused at all? How often were you determined not to glare at the opposite gender and did end up doing precisely that? As you may have noticed, your conscious connection with Allah subuhanawuta’ala, (your spirituality) rises and falls. Many factors affect the ups and downs of your spirituality, such as your sins, lack of ‘ibadah, bad companions etc. In this article, I want to make my case that even the food you eat affects your overall spirituality. As a nutrition and exercise coach, I know this to be true because I coach Muslim clients in over 30 countries around the world to improve their health and to get into the best shape of their lives. Whenever my clients improve their food choices, they report to me how even their connection with Allah subuhanawuta’ala improves dramatically. Now, to understand how food affects your spirituality, you first need to know how the rest of your body interconnects with your spirituality. If I were to meet you in person and inquire you about your health, you might say that you are healthy, because your body is currently free from any diseases. That’s great, Alhamdulillah, but it’s a very narrow definition of health. The World Health Organisation (WHO) defines health as “a state of complete physical, mental and social well-being and not merely the absence of disease or infirmity.” This statement is true. However, our religion takes a much broader and a more holistic approach to defining health. The Islamic definition of health isn’t just related to our physical, mental and social well-being; instead, it also includes our emotional and spiritual well-being too. And these two factors tend to be neglected in discussions and definitions of health. However, our real long-term health heavily depends on such a holistic view, because the synergy of these elements of health helps us to create an optimal life, bi’idnillah! Now, here is what you need to know. You are a highly sophisticated creation of Allah subuhanawuta’ala. Your body, mind, emotions and spirituality are all interconnected. Anything that affects your mind affects your body too. For instance, when you neglect the health of your body and get sick, it takes a toll on your spirituality too. Don’t you notice, how even a slight headache makes it challenging to focus in your ‘ibadah? One of the aims and purposes of our Sharia is to protect our intellect. Whatever negatively affects the mind is thus prohibited in Islam. That’s why Quran and Sunnah prohibit specific food and drink for us, such as alcohol, drugs, blood, the flesh of swine etc., because these foods not only harm our body, they harm our mind also and thus our spirituality too. While the list of prohibited (haram) foods is very clear to us, there are also foods that are in fact allowed (halal) but not necessarily good for our body, mind or spirituality. So, note the emphasis on “lawful and good”. Whatever you eat should be not only halal but also good. Islam encourages us to eat foods that are rich with the ‘good stuff’; vitamins, nutrients, etc. And it discourages us to eat food that has elements of harm to our body and mind. So strive as much as you can to include “green foods” in your diet. Also, work to reduce the consumption of highly processed and refined foods that come from factories and labs. I call them “red foods”. In my 7-day free course, I talk about these foods in more detail. If you are interested, you can sign up here for free. Your spirituality can be significantly affected by the level of your energy. In fact, the lack of energy is one of the reasons for you to abandon good deeds or to engage in any beneficial things. When you are tired and have low energy, try doing anything meaningful. You’ll soon notice how difficult it is to focus on anything meaningful. That’s because your brain needs glucose (a form of energy) to think and focus. When you run low on energy, focusing is the last thing your brain wants to do. Maintaining a constant level of energy provides you with the focus you need. Here comes the role of those “green foods”. Not only do they give the endless energy you need but they provide nutrients to improve your overall health. A chocolate bar or a sugar-laden beverage does give you much-needed energy, but it’s only for a short period. Such an energy spike is promptly followed by a crash that leaves you feeling more depleted of energy, so it’s not a good long-term strategy to maintain your energy level. You wonder what has optimism to do with your spirituality? A lot. First and foremost, being optimistic is, indeed, a prophetic Sunnah. Abu Hurayrah (RA) said that the Messenger of Allah liked optimism and detested pessimism. (Musnad Ahmad). There are so many other examples from the Quran and Sunnah that stresses the importance of being optimistic. I think the following two are indeed relevant to our topic. The Prophet (PBUH) told us that Allah says: ‘I am as My servant thinks of Me…’ (Sahih al-Bukhari). In another hadith, ‘None of [us] should die except while assuming the best about Allah’ (Sahih Muslim). So positive thoughts about your Lord leads you to positive actions and thus impacts your spirituality positively. And negative thoughts about your Lord leads you towards negative actions and that in turn affects your spirituality negatively. And here comes the role of foods again. For you to keep your thoughts positive, your diet does play a humongous role. Among many research studies, the study that was published in the American Journal of Psychology really caught my attention. The researchers wanted to find out whether depression and anxiety have any association with the food people eat. So they compared the traditional diet with the western diet, which is a diet of processed or fried foods, refined grains, sugary products etc. (a diet that consists mostly of those “red foods”). The result was astounding. A “traditional” dietary pattern characterised by vegetables, fruit, meat, fish, and whole grains (a diet that consists mostly of “green foods”) was associated with lower odds for major depression or dysthymia and anxiety disorders. So the food you eat affects your thoughts and in turn, affects your spirituality. In the past, whenever I was pressed for time, the very first thing I used to do was cut my sleep. I thought it was the most logical thing to do to increase my productivity. But I was wrong! Every time I cut my sleeping hours, I felt more irritated and had a hard time focusing on anything meaningful. So while I had more hours to work, I got less useful things done. I was feeling miserable and least productive. You see, getting not enough sleep is not only a bad idea, but it is also a sure-fire way to increase your risk of many serious health problems, including jeopardising your mental and spiritual health. Research studies show that getting less than 7 hours of sleep impacts our memory and learning ability negatively. Those who had less than 7 hours of sleep recalled more negative things than positive ones during the day. And that’s scary because this is correlated with depression. Depressed people remember negative things more frequently. Eat at least 2 hours before your bedtime. A small snack before bed is ok, but not a large meal. Avoid caffeine (that is found in coffee, tea, soda, chocolate etc.) after 2 PM. Quit smoking. Research studies link nicotine with insomnia. So the takeaway message is this: Getting adequate sleep at night helps you to improve your mood, productivity, health and overall well-being. And maintaining that balance is crucial to enhancing your connection with Allah subuhanawuta’ala. Listen, here is a little secret :-). Overindulging in good foods isn’t a good strategy to improving your relationship with Allah. The quantity of food is as important as the quality of food. “This is one of the most beneficial practices in both physical and spiritual terms because if the stomach is filled with food, there is no room for a drink. Then if that food is followed by a drink, there will be no room for air, and he will become tired like one who carries a heavy load. When you eat healthily and eat only until you are slightly full, your mood, your energy, your thinking pattern and even your sleep improves. And all these improvements help you to enhance your spirituality. So here is what I ask you to do. Try to eat as healthily as possible for next two weeks and see whether or not you notice these changes in your life. If you need help to eat healthily, I’ve created a free 7-day course for you. Even if you don’t have any weight to lose, this course will help you to improve your health and overall well-being. With the increase in popularity of low-carb diets, rice is getting a bad rep. 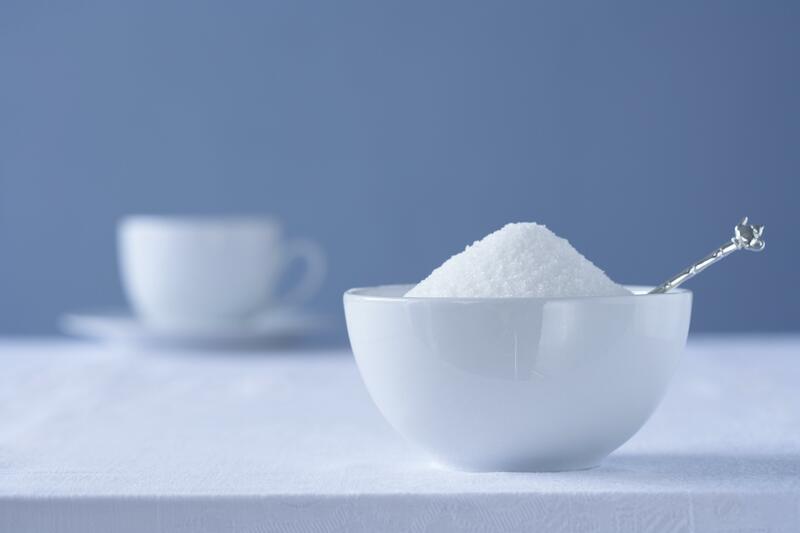 It has been vilified and associated with causing type-2 diabetes. But is rice really bad for your health? 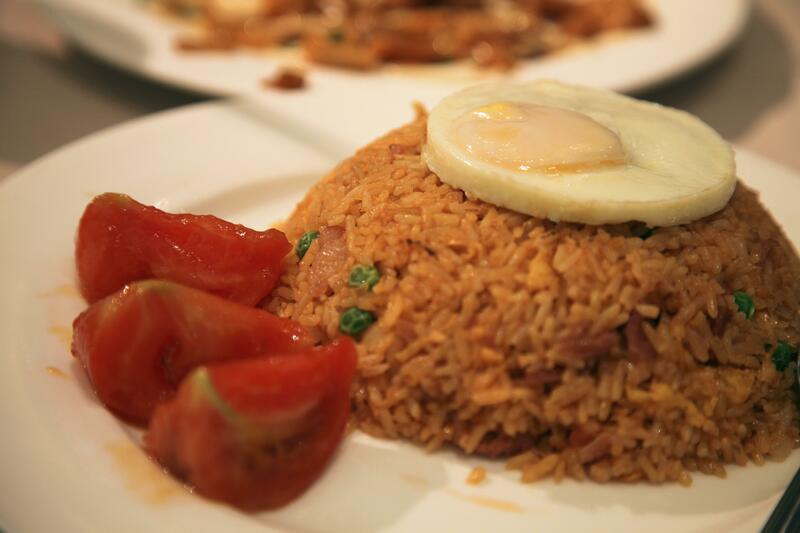 In this article, I want to show how you can improve your health while eating rice. Rice is a global food. It’s the primary dietary staple for more than half the global population. A whopping 6 out of 10 people in the world eat rice every day! And with more than 40’000 (yep, 40k!) rice varieties and its prominence in almost all world cuisines, there’s hardly any other food that can match the variety and the taste of rice. Yet, it’s also one of the most vilified foods among low-carb dieters. Is this vilification justified? What’s the truth behind the accusation? And can we eat rice and also improve our health? Time to uncover the facts. The Yellow Emperor’s Classic is the oldest medical text in the world. This 3’000 year old book is the fundamental Chinese medical guide. This classic text holds that food therapy is key to treating any disease and it prescribes a ten-day rice gruel fast as the first remedy for disease. Wait, before you run to the supermarket to buy bags of rice to use it as medicine, you first need to know what type of rice they used as medicine. It wasn’t the low quality, nutrient-poor, low fibre white rice you eat. Rather, the rice they used in medicine was indigenous, whole-grain, and unpolished brown (and red) rice. And that’s may be the best place to start our conversation. Now, is all rice created equal? Nope. That’s because the processing of rice plays a major role in defining its healthfulness. When the outermost layer, called hull, of a whole grain of rice is removed, you get beneficial brown (or red) rice. 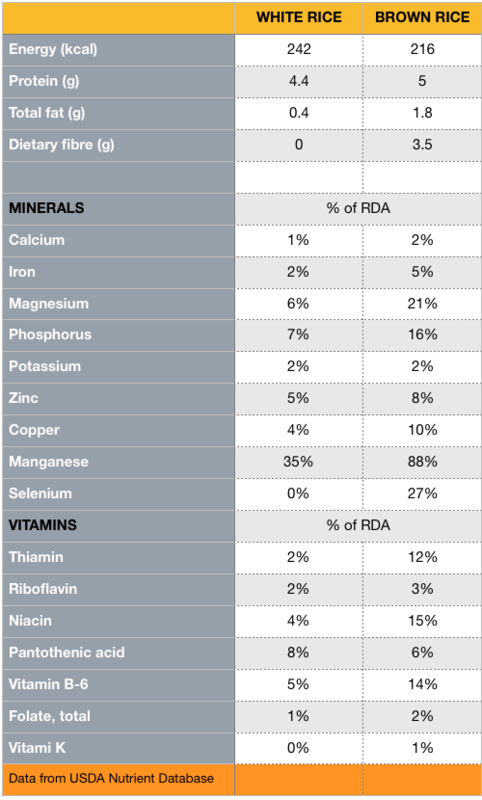 So the white rice you eat is high in starchy carb, but low in quality, nutrients and fibre. But the story doesn’t end with the lack of fibre and nutrients in white rice. When you eat this highly processed white rice, it’s digested and absorbed quickly, causing your blood sugar levels to rise rapidly and to spike your insulin level. And that in return leads to hunger spikes and could put you at risk of weight gain as well. So, it’s not surprising why higher intake of white rice is associated with increased type-2 diabetes. In this meta-analysis, researchers found that “higher white rice intake is associated with a significantly elevated risk of type 2 diabetes, especially among Asian populations”. Now, does it mean, you should abandon white rice for the rest of your life? No, not at all. White Rice, with all its variety and taste, isn’t inherently bad for you. It all depends on your health goal (e.g. lose weight and gaining weight), the serving size and your lifestyle. If you are in the process of getting bigger (and building more muscle), white rice can be helpful. On the other hand, if you are trying to lose weight, eating too much of it will hamper your progress of getting lean. So, if most of your calories come solely from white rice, then eating this type of rice is a health problem. And, if you are pre-diabetic or diabetic patient, then white rice isn’t ideal food for you. So most foods aren’t good or bad; it all depends on what your goal and lifestyle is. Here are some steps, from easiest to most challenging, that you can take to modify your rice intake. Step 2: Drink 2 teaspoons of apple cider vinegar diluted in 4 tablespoons of water, 5 minutes before your rice (or any other starchy carb-rich) meal. As mentioned in this article, vinegar helps to lower blood sugar level up to 34%. Step 3: Eat white rice in moderation. That’s around ½ to 1 cup (i.e. 250 ml cup) of cooked rice. Again, it all depends on the body size, gender, your health goal and your lifestyle. Step 4: Eat your rice (white or whole grain) with protein, some healthy fats and lots of vegetables. This will blunt the blood sugar response much better than if you sat down to a lonely, huge plate of rice. Step 5: Eat rice and any other starchy carbs only in the hour or two after intense exercise. Even this small shift in your diet will help you lose some fat and gain some muscle. Step 6: Eliminate rice and starchy carbs entirely, especially if you are obese and have a dangerous level of belly fat. Instead, replace rice and starchy carbs with lots of vegetables, and make sure you have a good intake of lean protein and healthy fats. If you are already in step 1, work towards step 2 and if you are already practising step 2, work towards step 3. It’s about bringing small lifestyle changes one step at a time. Attempting to overhaul your life all at once will only lead you to throw in the towel and worsen your health. So, start strong by slowly incorporating these steps into your lifestyle. Coffee. For some, just the word coffee makes them feel alive. 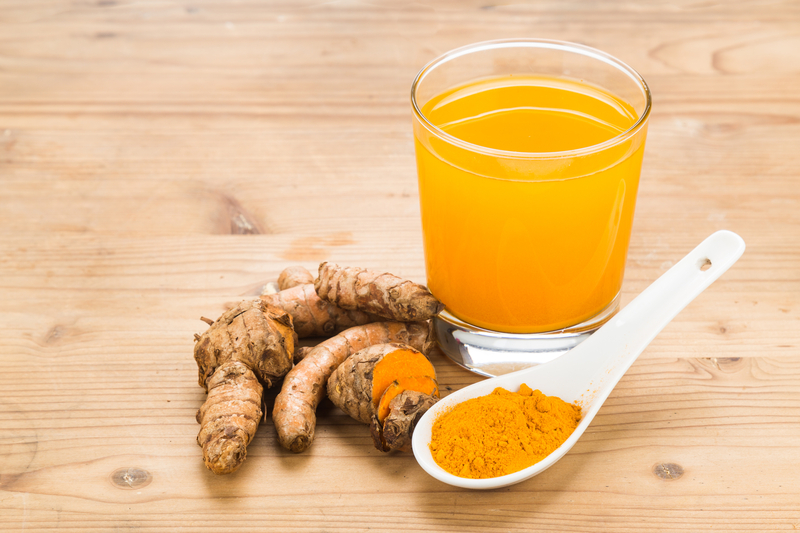 Yet for some others, this drink is their biggest nemesis, as it makes them jittery and even a bit anxious. In this article, I’ll discuss the pros and cons of coffee. 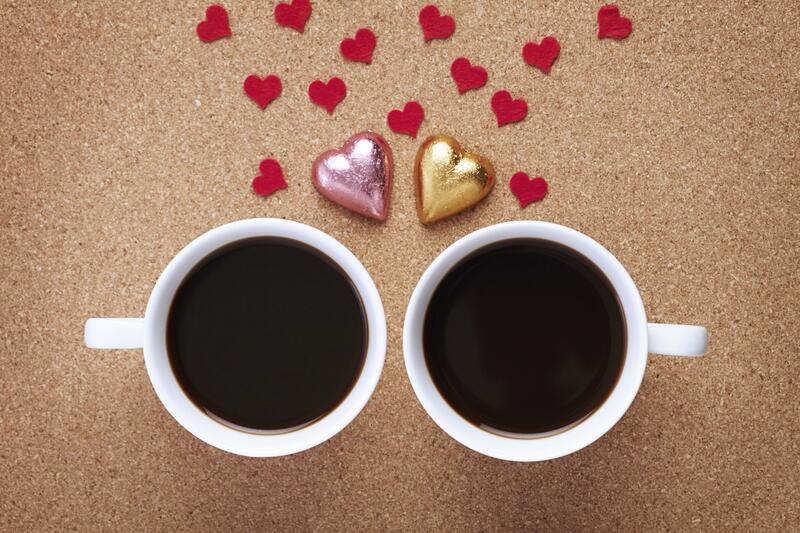 Coffee is the second most popular beverage in the world after water. It’s also the world’s second most traded commodity trumped only by petroleum. And believe it or not, worldwide, a whopping 400 billion cups of coffee is consumed each year. The term coffee has Arabic origins. It comes from the Arabic word “qahwa” (which is also what coffee is called in Arabic). Besides this origin, there is substantial evidence that suggests that Muslims in Yemen first drank coffee and introduced it to the rest of world. So, just as the countless of other inventions and discoveries made by early Muslims, coffee continues to shape our modern world and has an incredible presence as a drink and stimulant. It’s estimated that almost half of the earth’s population drink coffee. While this drink is very popular, there are also loads of controversies surrounding it. 100s of studies toot its benefits while 100 others raise a red flag! For example, while studies show that coffee is protective against heart diseases, other studies show that drinking coffee increases the risk of getting this disease. As a coffee lover and a moderate consumer of coffee, I felt like there was more to coffee than these studies claimed. So I decided to dig deeper into coffee and what I found next blew my mind. That’s because the latest research in nutrigenomics (the study of how genes and nutrients interact) shows that your genes play a vital role in whether coffee will be good or bad for your health. A study in the Journal of the American Medical Association (JAMA) found that certain individuals processed or metabolised caffeine much faster than others. Some of us are “fast metabolizers”, meaning that we process caffeine effectively and it doesn’t cause us health problems. Others are “slow metabolizers”, which means that in excess, caffeine can increase our risk of certain diseases. Fast metabolizers, who carry normal CYP1A2 genes, showed no increased risk of heart attacks from caffeinated coffee consumption. However, the opposite was true for slow metabolizers, who carry CYP1A2 gene variations. A study of this latter group found that drinking more coffee increased their risk. Drinking two to three cups daily increased the risk by 36%; drinking more than four cups daily cranked that risk to 65%. And this genetic variation doesn’t stop at heart disease. It also explains why some people can guzzle a pot of coffee just before bed and sleep well, while others find difficult to fall asleep at night with the last cup of coffee at lunch! It’s estimated that around 40 percent of people are fast metabolizers and around 15 percent are slow metabolizers. About 45 percent of the population have both a slow and a fast copy of this gene. According to Dr Ahmed El-Sohemy, one of the world’s foremost nutrigenomics researchers, DNA testing is the most reliable way to find out how quickly or slowly you metabolise this drink. There are many online services that provide this service, with 23andme.com being, perhaps, the most popular out there. But before you dismiss the likelihood of finding out your metabolism because you don’t want (or can’t afford) a DNA test, here is the next best thing to test how quickly you metabolise your caffeine: listen to your body. Yep, if you are a fast metabolizer, you may experience an immediate spike in alertness followed by a quick dip in energy after a cup of coffee. On the other hand, a slow metabolizer may find him or herself jittery after drinking coffee, and they may also crave some sugar an hour or two later. Another indicator of your caffeine metabolism is your sleeping pattern. If your evening cup of coffee disrupts your sleep, you most probably have a slow metabolising gene. If you are slow metabolizer, make sure you don’t exceed more than 300 mg of caffeine a day. And avoid having this stimulant late in the evening. After digging through countless journals, books and studies, it clearly shows that having a moderate amount of caffeine is the best advice to follow. Though this hadith speaks volumes, the simple take away message is this: moderation in all our affairs is the key to success. Ok, now begs the question, what is a moderate amount in consuming coffee? It seems, one (250 ml) to three cups of coffee is fine for most of us. Exceeding more than three cups a day doesn’t seem to be beneficial even for the fast metabolizers. On the other hand, drinking a cup per day is not associated with a harmful effect even for slow metabolizers. It all depends on when you drink it. In a double-blind placebo-controlled design, a cup of early morning coffee significantly enhanced alertness in subjects. In another study, doses of 20-200 mg of caffeine caused subjective reports of increased energy, improved powers of imagination, increased efficiency, and improved self-confidence. So, regardless of how quickly you metabolise your caffeine, a cup of coffee may help you to kick start your morning. And if you need a shot of energy and alertness before an important event, you may again put the coffee to use to your advantage. Remember, it’s all about moderation and timing! 2 Surprising Health Benefits of Vinegar! Vinegar is perhaps the oldest health tonic known to mankind. It has been used for home remedies, household and cooking purposes all around the world for thousands of years! 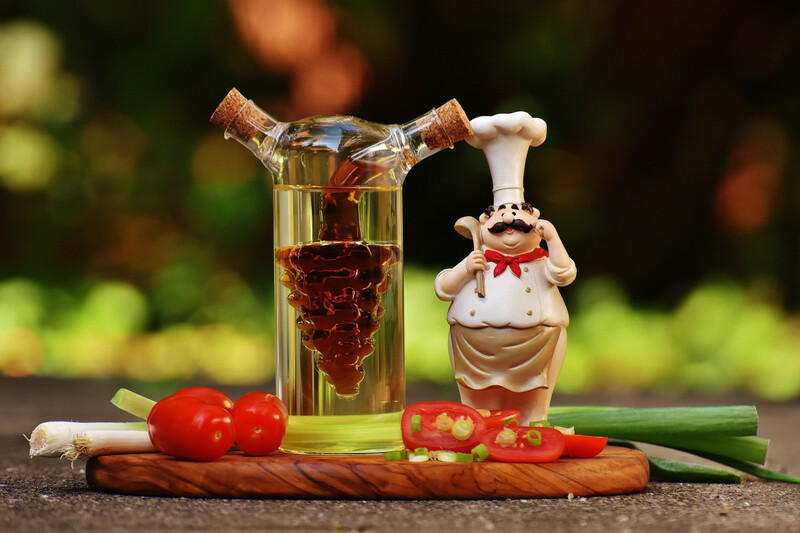 Though it has a wide range of uses, in today’s article I would like to share two distinctive uses of vinegar based on recent researches. Our beloved Prophet Muhammad (PBUH) used to enjoy vinegar a lot. He used to dip his food in it and say, “what an excellent condiment is vinegar” – Reported in Muslim and Abu Dawood. And it really is an excellent condiment. In the last two decades, scientists have been making headway in understanding the excellent health properties of vinegar. Though most researches, to date, have been done on rats, more human-based researches are emerging from various parts of the globe too. Elevated blood sugar level is believed to be a major cause of ageing and various chronic diseases. Elevated blood sugar level, too often, over a long period of time leads to fat gain, obesity and insulin resistance, which is the preliminary stage of type 2 diabetes. 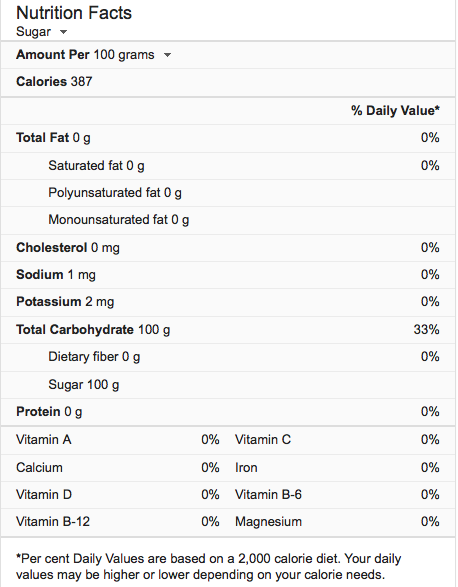 So, a stable blood sugar level is essential for anyone who is looking to live a healthy life. In recent researches, vinegar has been shown to have numerous benefits for insulin function and blood sugar levels. In a 2004 study, researchers found that intake of 20ml (1.5 tablespoon) of apple cider vinegar (diluted in a 40ml water) before a carb-rich meal, helped to lower blood sugar level up to 34%! Another study from Arizona State University indicates that vinegar intake (at least 10 ml) before each meal significantly lowers blood sugar responses even in healthy adults. If you want to lose weight and achieve a beautiful body composition, you need to manage your blood sugar level. Insulin causes the body to store up your excess energy as body fat. So, lowering your blood sugar level means that you are helping your body to shed that stored body fat. Many studies on humans indicate that vinegar increases satiety level and therefore helps you to eat fewer calories. Research demonstrates that vinegar intake along with a carb-rich meal can increase feelings of fullness and make people eat roughly 250 fewer calories for the rest of the day. In another study conducted on obese Japanese participants over a 12-week period showed that vinegar can significantly lower your body weight, BMI, belly fat, blood triglycerides and waist circumference. And all these benefits are derived from just 15 ml (1 tablespoon) of vinegar a day for 12 weeks. However, it’s important to note that vinegar isn’t a magic elixir, nor can it provide an easy fix to your blood sugar level or your weight. Along with a healthy diet and well-planned exercise regimen, vinegar can be a helping hand in improving some aspects of your health. From the studies I’ve researched, it seems to be safe to have 1-2 tablespoons of vinegar a day and it’s better not to exceed more than 2 tablespoons on a regular basis. As the saying goes, “too much of anything is good for nothing”. So just don’t overdo it. I hope this article will entice you to use vinegar more often in your life to reap the benefits of this simple and inexpensive condiment. Nutrition is made to look like it’s very complicated by food industries. That’s because this helps them sell their products to their consumers. But eating the right food isn’t rocket science! 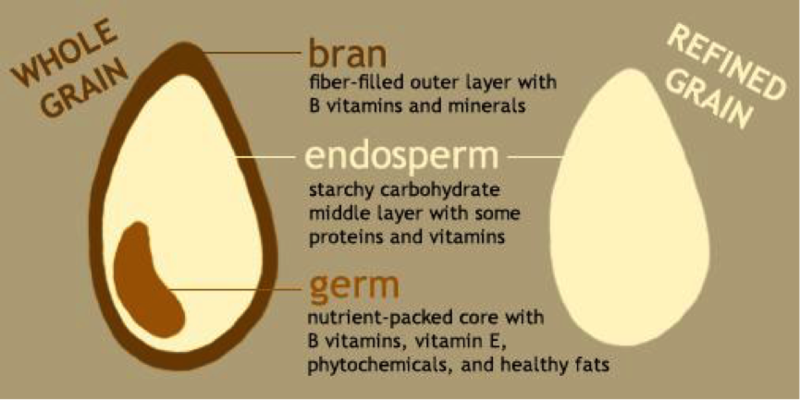 If you’re confused about nutrition, here are 3 simple tips! Alhamdulillah, luckily things changed when I started studying nutrition. Instead of compartmentalising food, I started enjoying them as part of a healthy lifestyle. Instead of eating to lose weight, like I did in the past, I now eat to nourish my body. In short, I’ve completely changed my relationship with food. For many people, nutrition is synonymous with dieting. And that’s definitely a problem. Our perception of nutrition is also shaped by the content we read online and by the different opinions nutritionists, inevitably, have. So, here are 3 simple tips for you to hold on. What do I mean by whole foods? Whole foods are real and unprocessed. They don’t have any fancy packaging. They also don’t have health claims on the cover or any ingredient list. 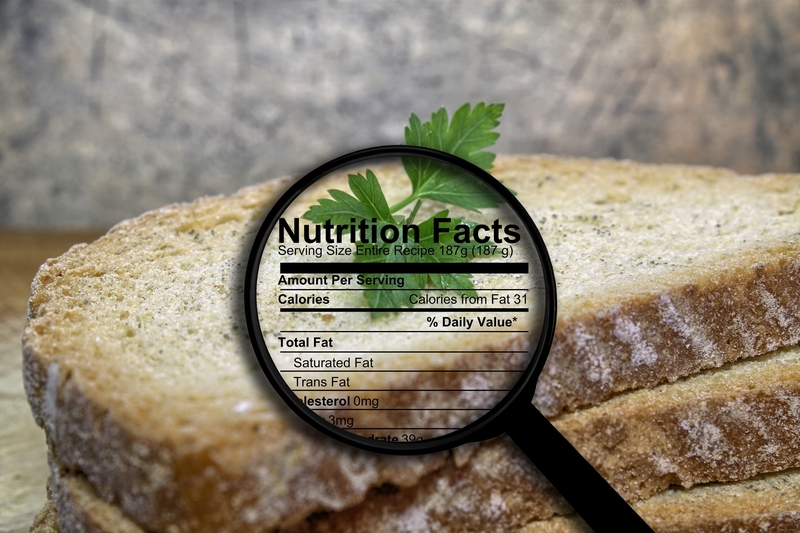 Do you see any ingredient list or health claims when you buy vegetables, fruits, grains or meat? Whole foods are foods that are closest to their natural state. They’ve only minimally refined to make them more consumable. The fewer steps a product has to take from farm to fork, the more of the “good stuff” it contains. Whole foods are full of all the “good-for-you” substances. And these substances are critical for you to function optimally. So, next time when you go shopping, buy foods that are free from fancy packaging and ones that don’t contain a long ingredient list. The simple rule is, if your grandma can identify the food you eat without checking the ingredient list, then you’re most likely eating whole foods. Want to know the “magical powers” of whole foods? Check this out! 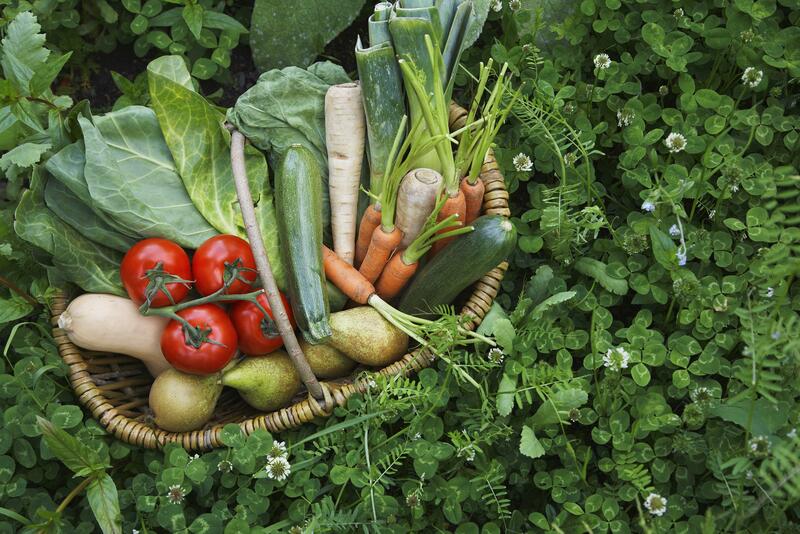 Seasonal vegetables, in particular, are a super gift from Allah subuhanawuta’la. These type of produce help protect us against many diseases that tend to spread during particular seasons. They also are helpful to our body in getting a heavenly mix of nutrients and plant chemicals that we need during the different seasons. Like in the winter, you need much more nutrients so that your immune system will be strong and ready to fight if needs be. In the winter, we’re also more likely to come down with the flu, so vitamins like A and C helps to strengthen our immune systems. And most vegetables that blossom in winter are full of such vital vitamins. For example, Brussel sprouts don’t have a good rep, but it being a winter vegetable means that it has twice as much vitamin C as an orange. Or a serving of kale gives you double the recommended amount of vitamins A and C.
Whenever you can, snap up more seasonal vegetables than not. And remember, that Allah subuhanawuta’la knows exactly what is best for us and that is why He has given us many things that we need, in the right place and definitely at the right time. There’s no doubt about it! So, no matter where you live, buy seasonal produce. HINT: Farmer’s markets are a great place for this! Deep down many of us know that many of the ‘fresh’ vegetables we get from the supermarket are really not that ‘fresh’. Most of the fruits and vegetables are picked and transported before they are even ripe. Unfortunately, this does a grave injustice to those beautiful fruits and vegetables as this ‘hasty-harvest’ means that they have had less time to cultivate—they haven’t reached the full spectrum of vitamins and minerals. They, therefore, have fewer nutrients than they’re supposed to. And of course, their growth has essentially been inhibited. On top of this, they lose more nutrients during their transportation from their farm to your plate, as they are exposed to light, heat, and prolonged transportation time. So, that exotic fruit that comes from 3,000 miles away isn’t really the right food for you. Again, there is a reason why Allah subuhanawuta’la has made available certain produce in certain areas. Because He subuhanawuta’la knows best what’s best for us. Hence, something that is super healthy in a cold climate isn’t necessarily healthy in a tropical country. Strive to get the best local produce. They are cheaper, better and have more nutrients. HINT: Farmer’s markets are again a great place for this! Strive to get whole foods whenever possible. Choose foods that have few and recognisable ingredients. Visit farmer’s market to get the seasonal and locally produced food.